This is the High Performance version of this battery offering a respectable 135 CCA. Finally a High Output battery for your High output vehicle. This is the Gold Standard for batteries, built in Taiwan to withstand harsh conditions that other manufacturers can't match. As the saying goes, you get what you pay for. Do you own the YTX9-BS? Please, tell us what you think about it. It helps us provide you with better products. Please note that it may take up to 72 hours for your review to appear. Pros: Super fast shipping. Bought a motorcycle battery and it came charged up and 100% ready to go. Dropped right in. 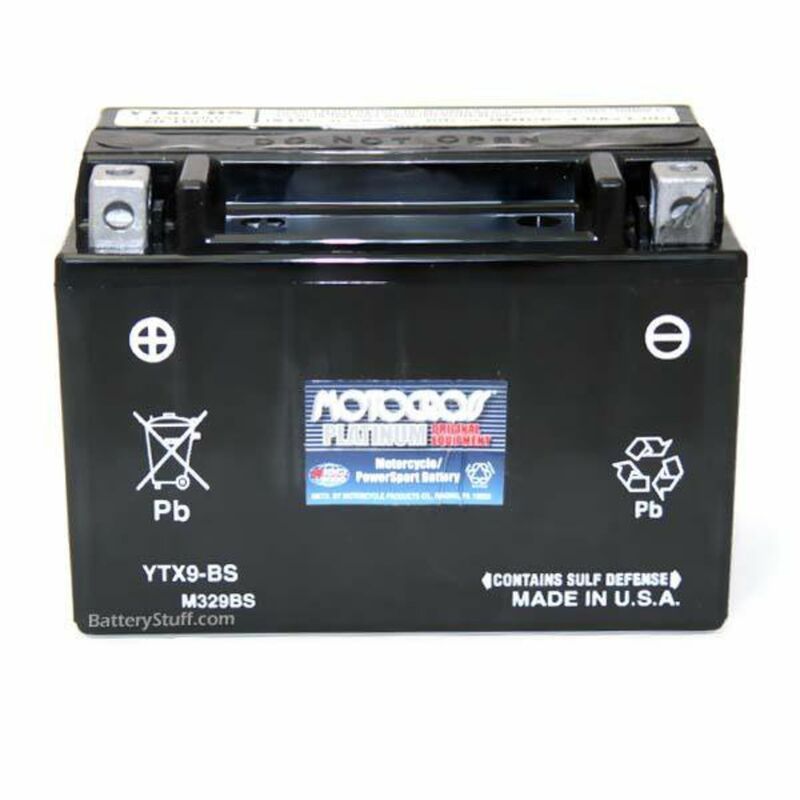 Pros: The YTX9-BS battery fits the 2005 Suzuki 650 DR perfectly. It is sealed - comes charged and ready to go. 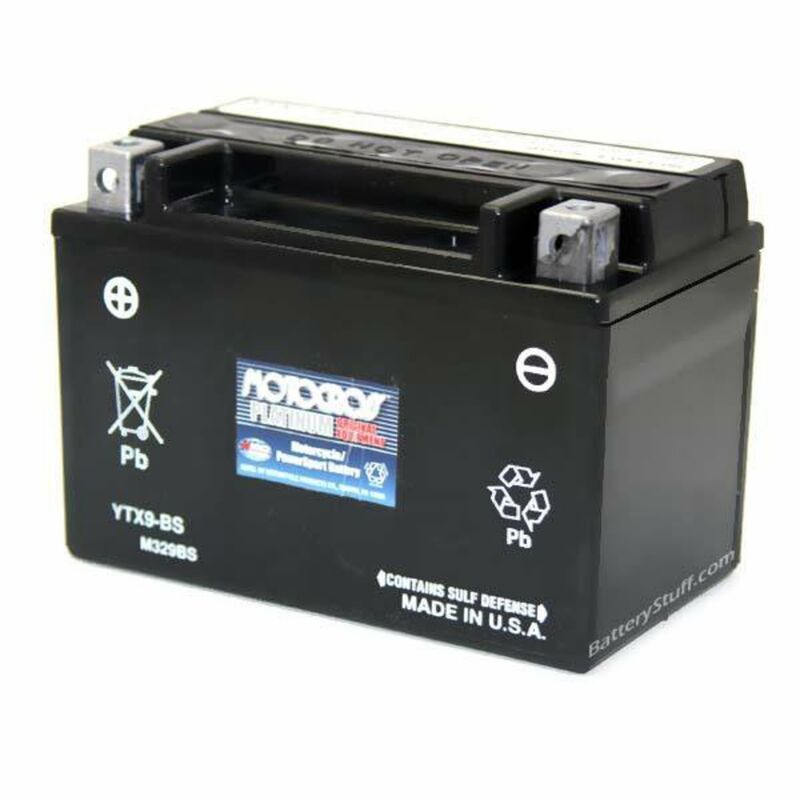 After MUCH research and shopping all over the internet I could not find a better "deal" with shipping on a quality battery. It is original quality or better. 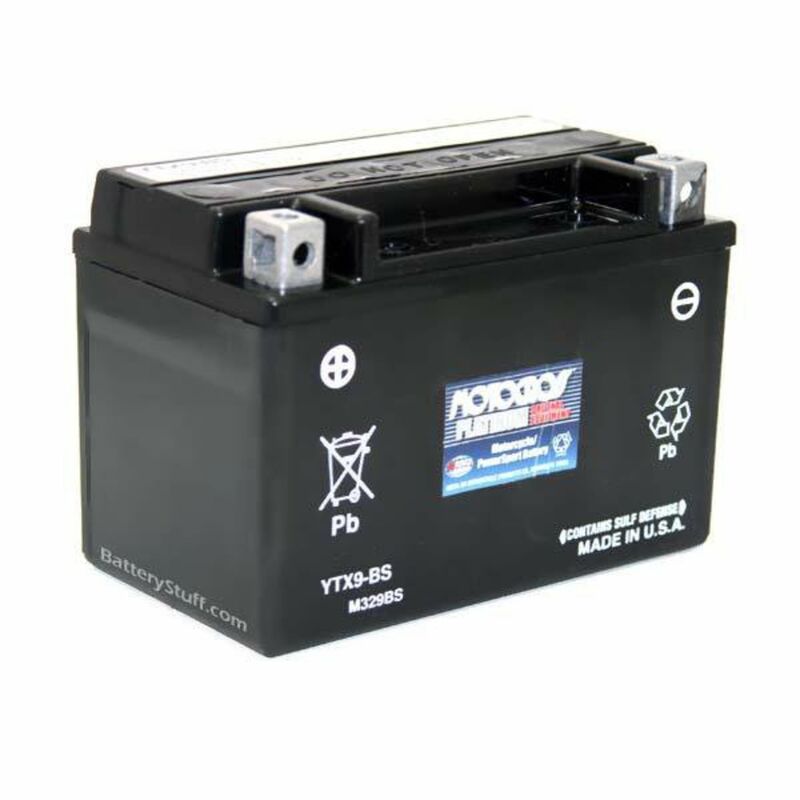 If you use a battery tender with these they last for years.